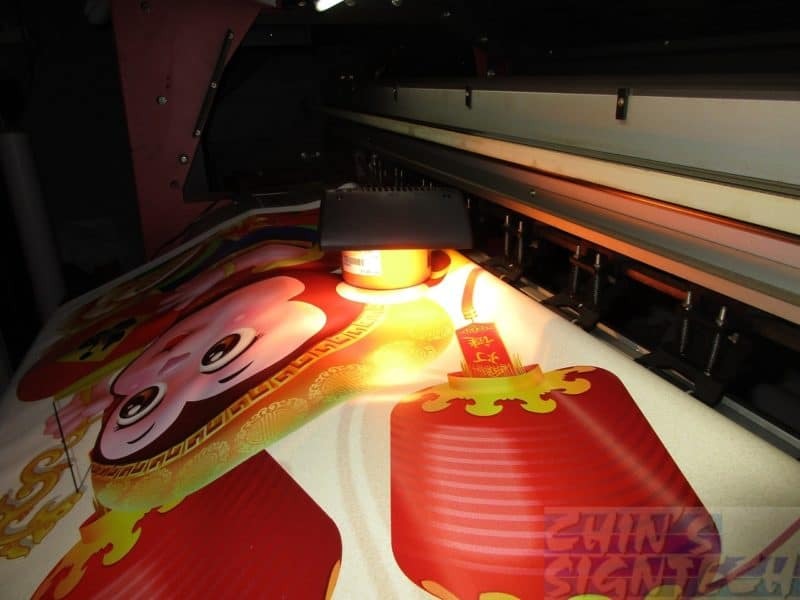 Test this 3.2m width 320 gsm wrinkle resistant and B1 fire retardant fabric with flashlight from Cannon Ixus 170, 300 watt spotlight and near T5 LED lightning. 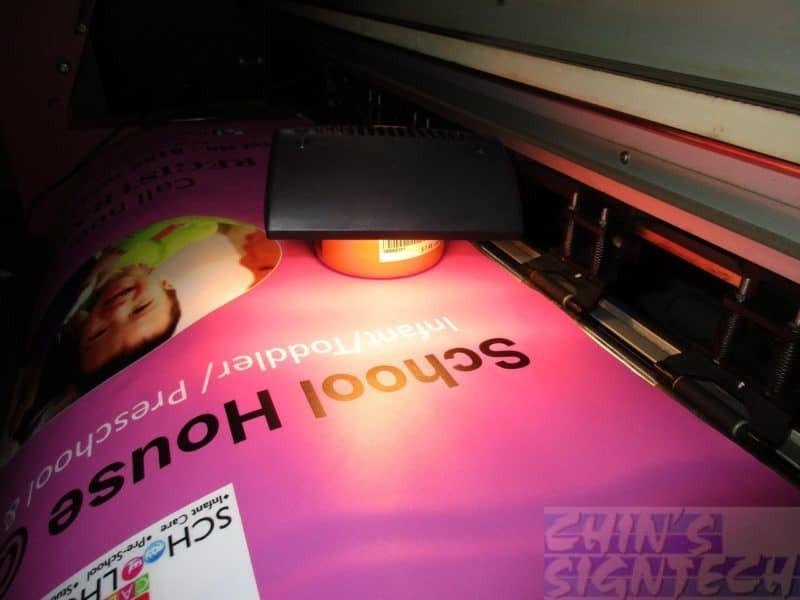 The fabric is placed on top a PVC banner, no reflection from light and flash from camera. 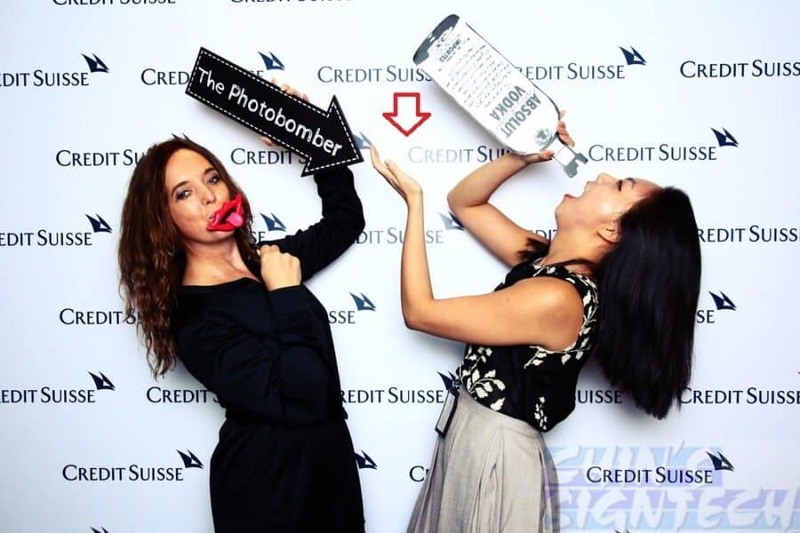 Test on lighting and camera flash results – Passed ! 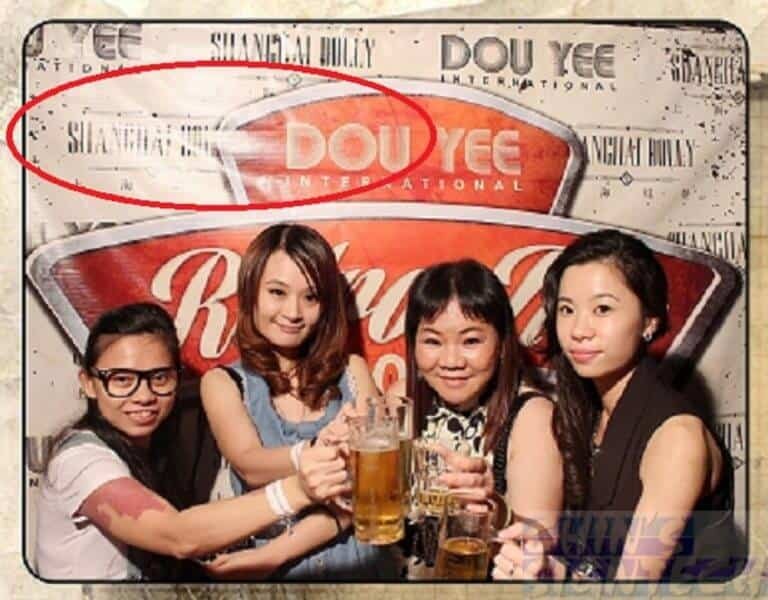 Swee swee bo zhao zui, steady bom bi bi ! 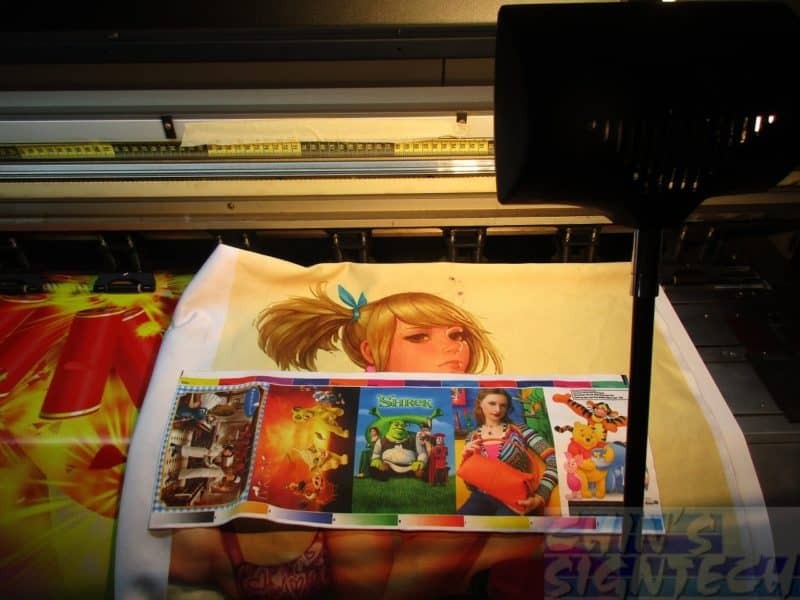 Next test will be wrinkle resistant, Fire abilities and most important is test print at least a 3 x 3 meter on the fabric. 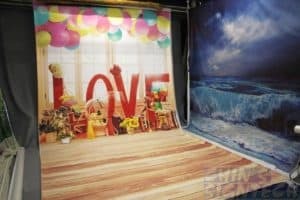 We are going to use fabric to wrap onto our wooden frame backdrop ! 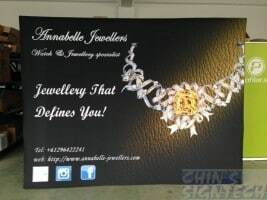 Do take note on those horrible results when the bright spotlight shine and cover up some alphabets ! 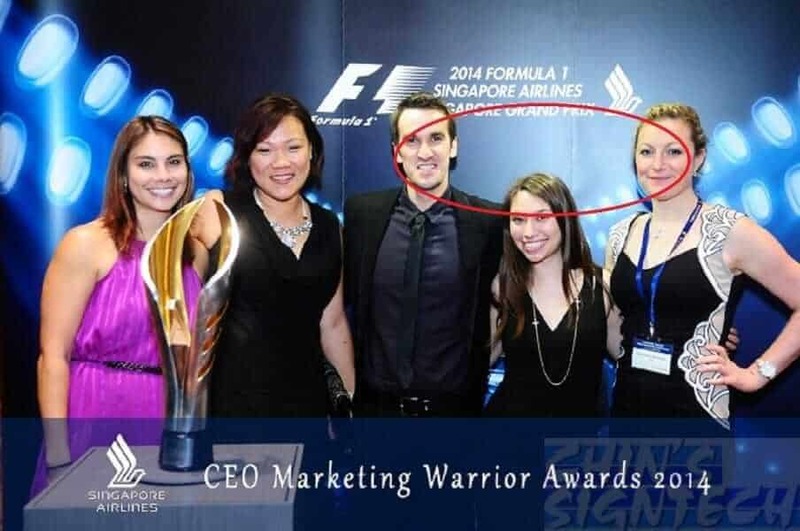 Your company name, brand or logo are lost ! 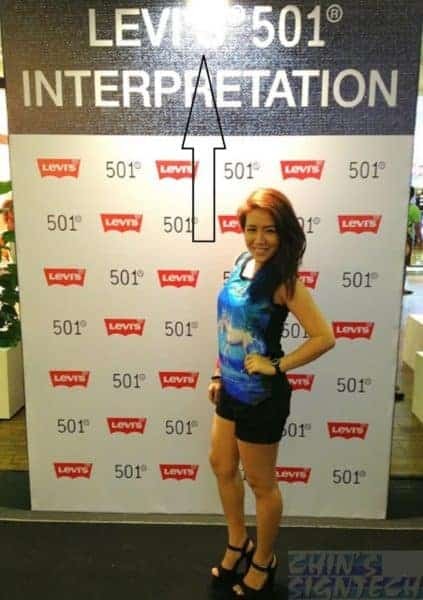 You also lost your Purpose of advertising. 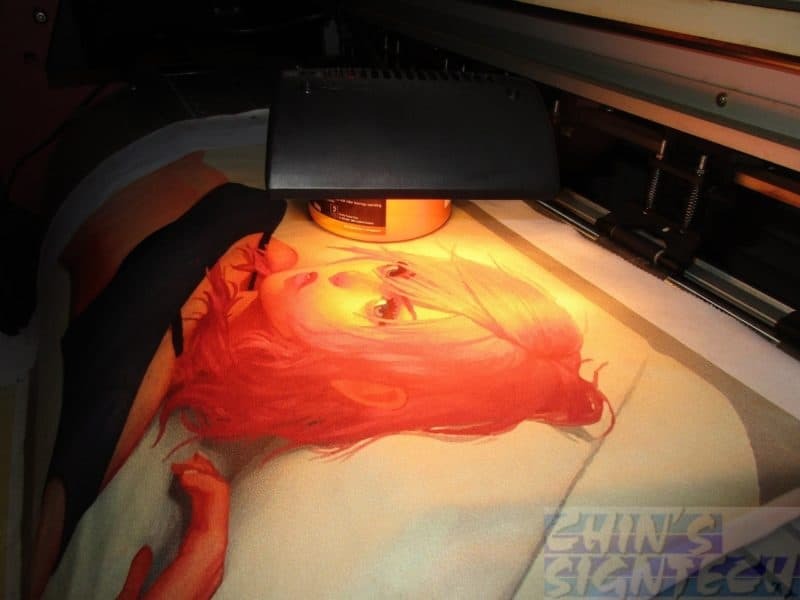 Not only media play a part, the ink from the printer will cause reflection. 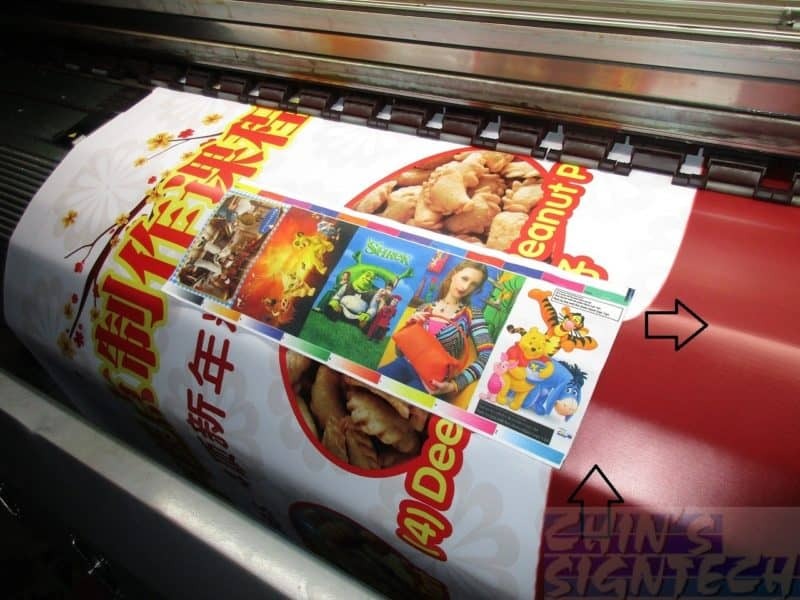 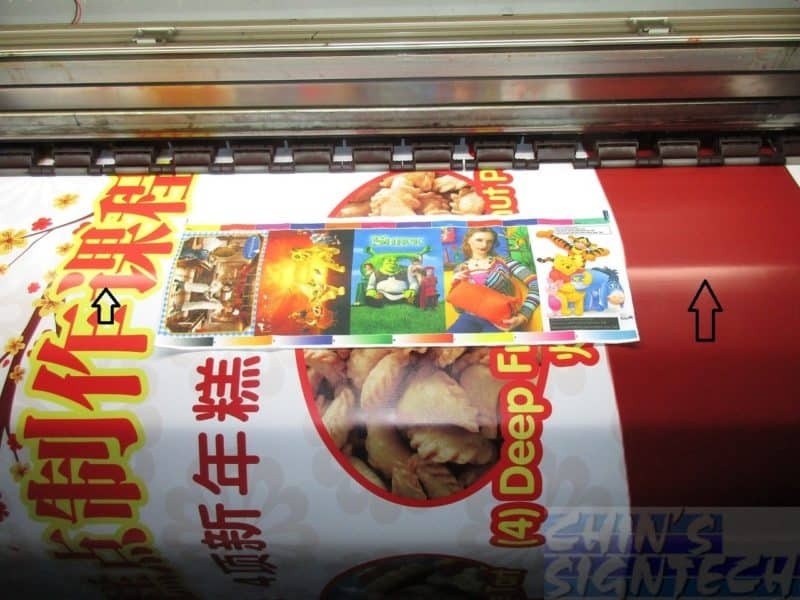 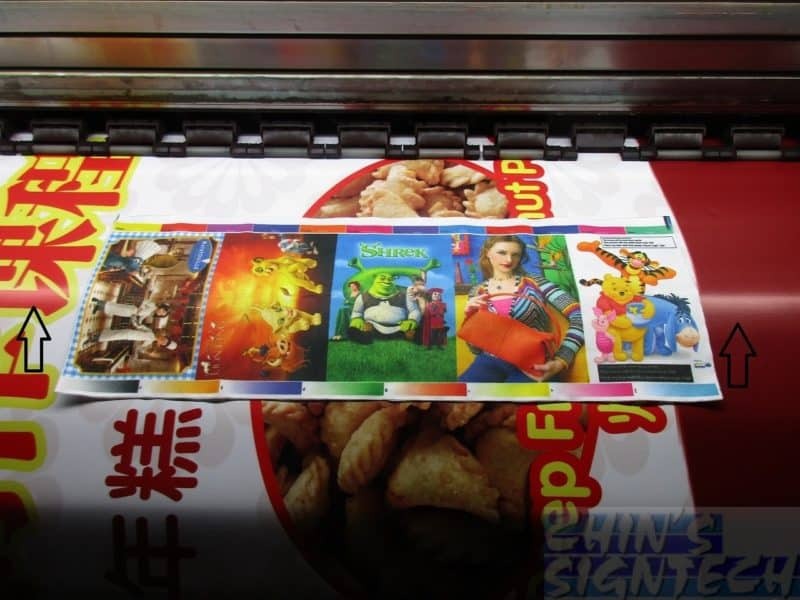 Media such as poster, sticker and PVC banner, the ink sit on top the media and cause the media to have a glossy coating. 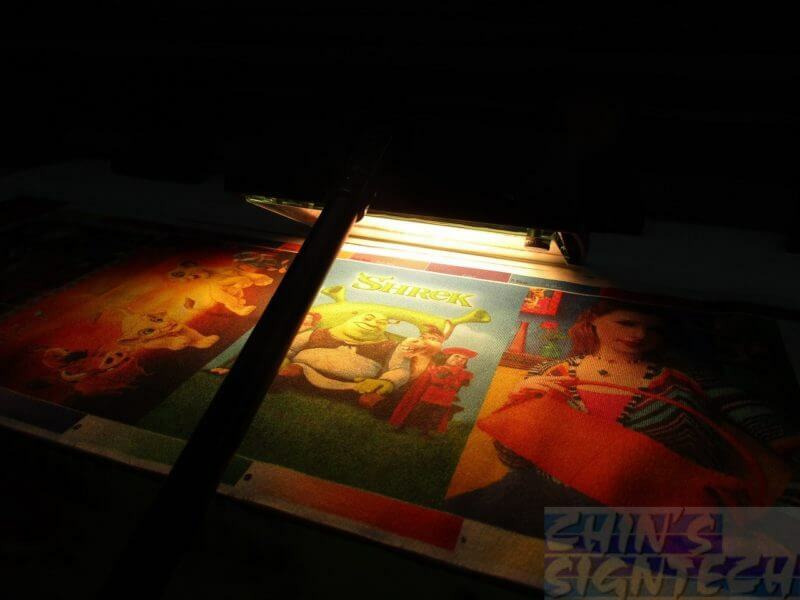 Unlike dye sublimation printing, the dye ink are evaporated into gas, the remaining colour particles are bond to the fabric. 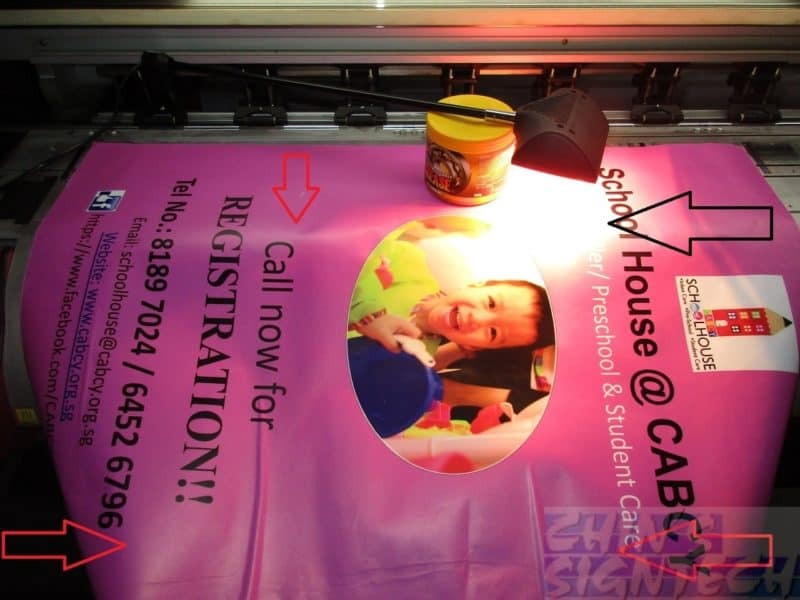 They are scratch resistant, washable and UV resistant under any environment. 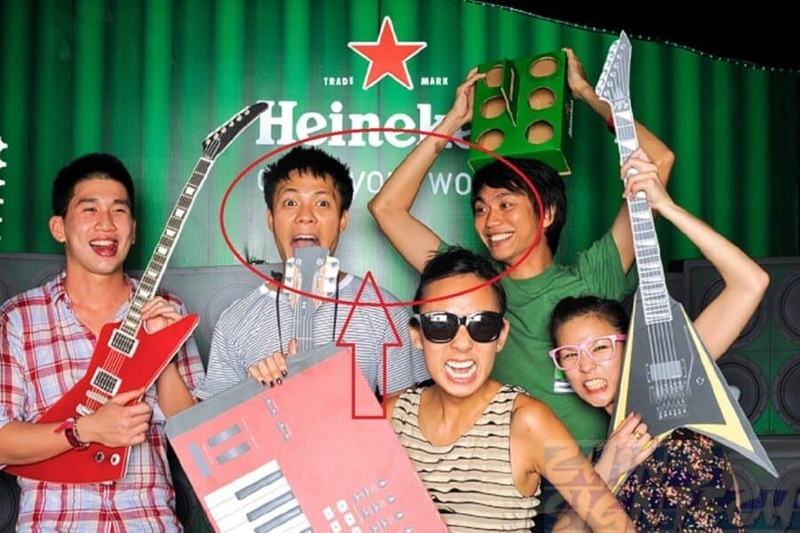 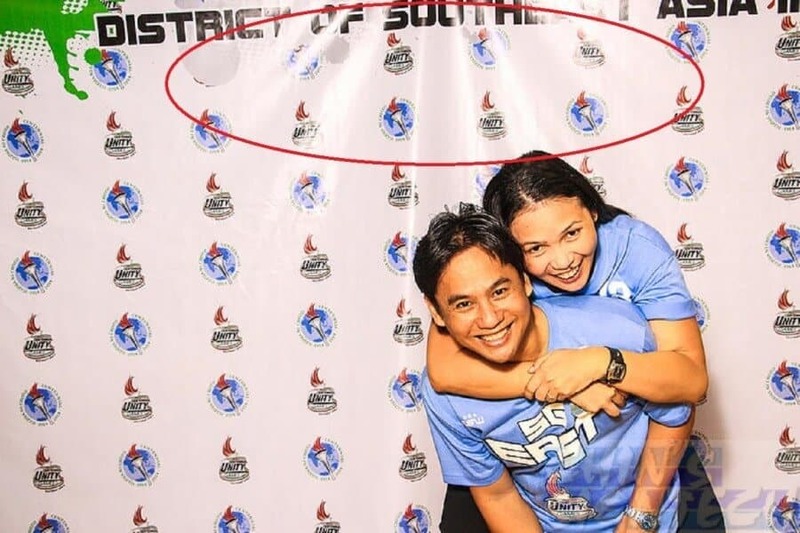 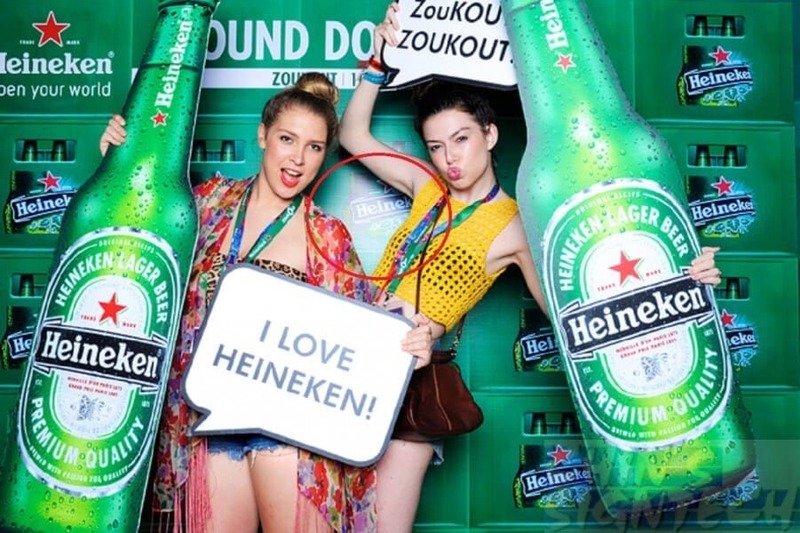 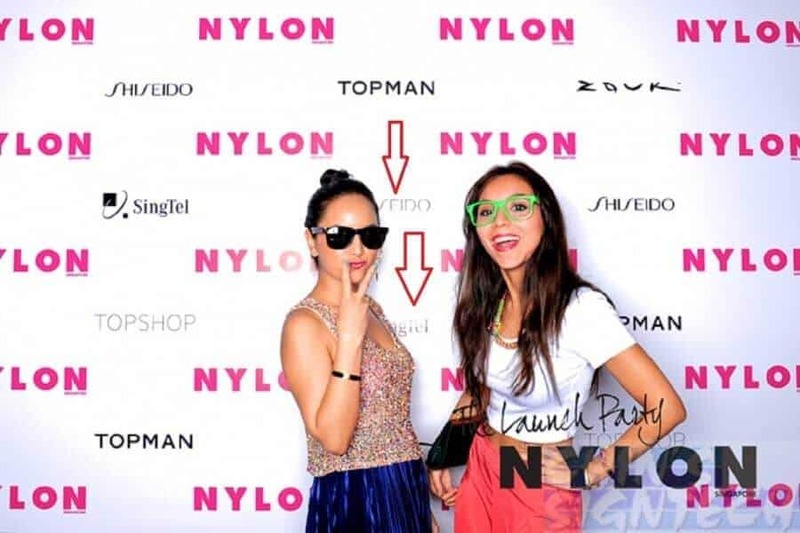 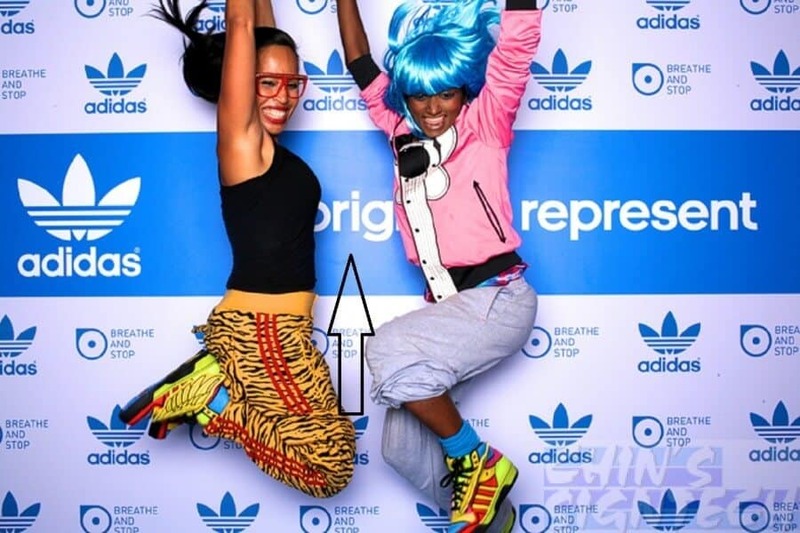 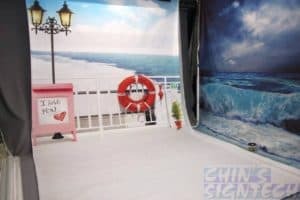 As you can see, the camera flash light or spotlights brighten up sticker or PVC banner backdrop or photo booth. 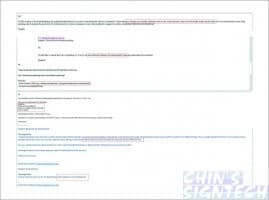 The bright light shine on the texts, logo or images cause white flashy spot on it. 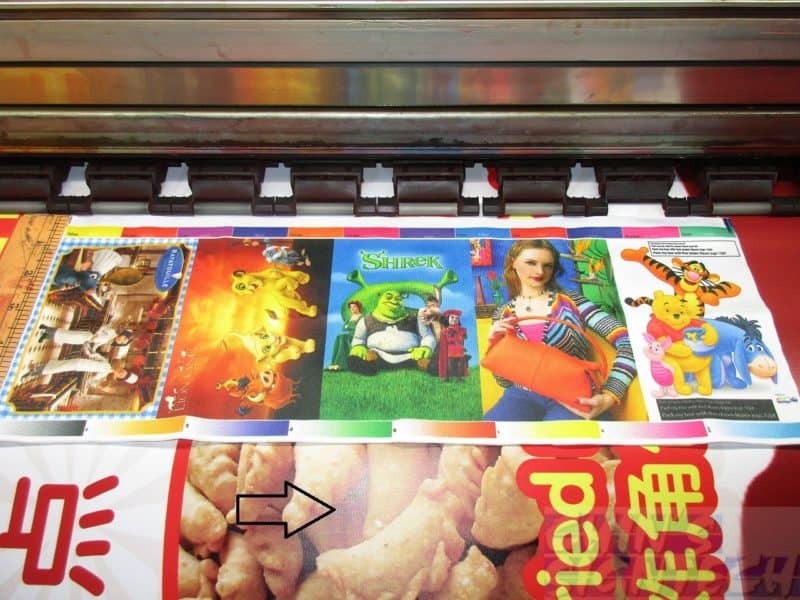 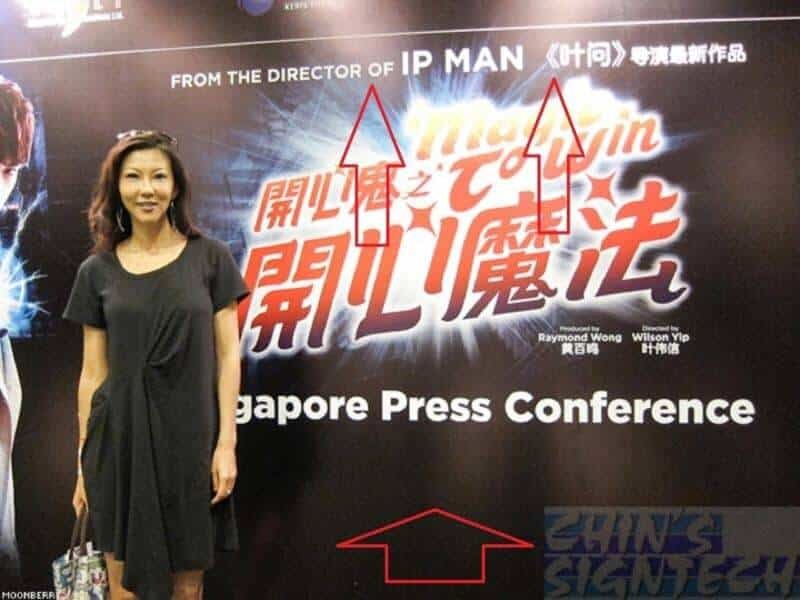 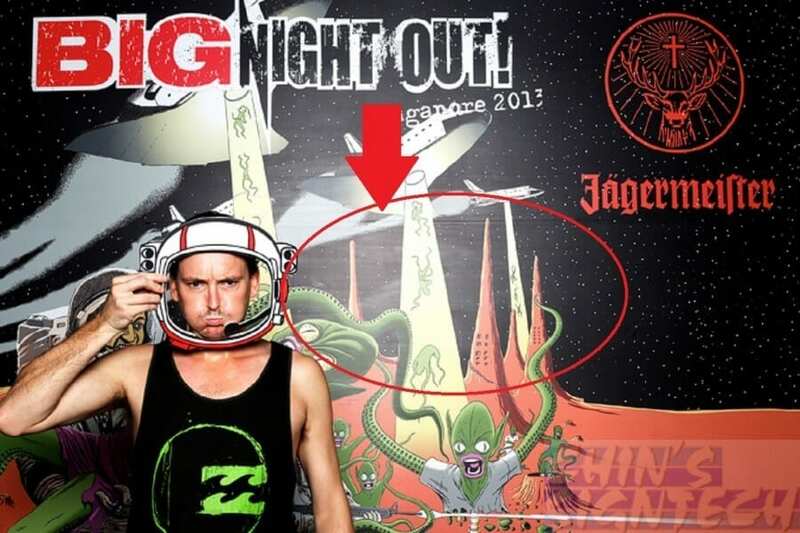 Sticker base backdrop, maximum printing width is only 1.6 meter, is not seamless printing. 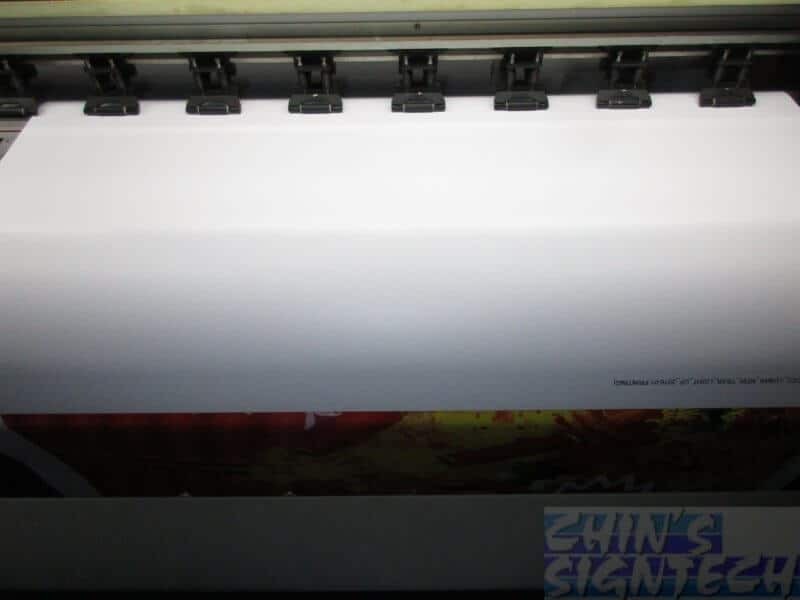 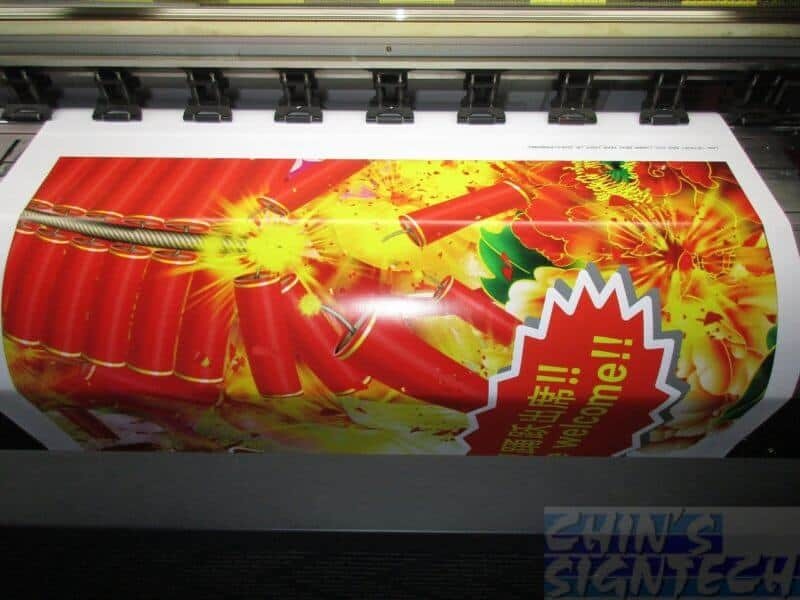 Compare to PVC banner or Fabric printing, maximum printing width is 3.2 meter. 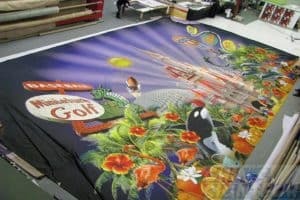 At Europe they use 12 meter fabric printer to print theater opera backdrop ! 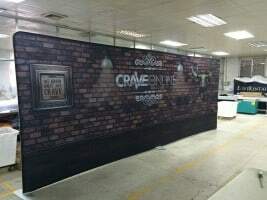 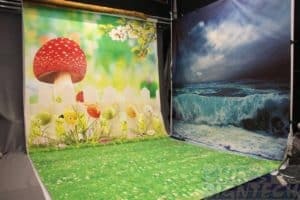 Many customers enquiry about non reflective material for backdrop or photography usage. 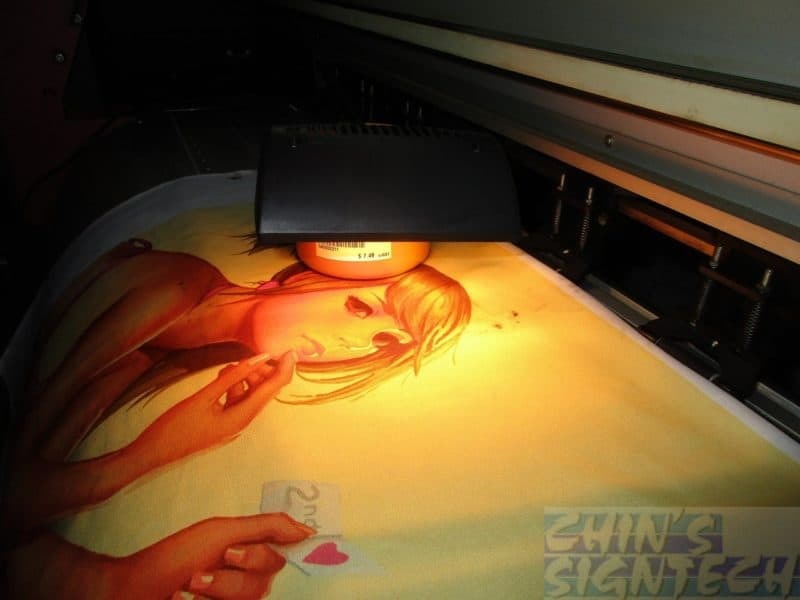 Even photographer from oversea also email me about printing custom Muslin use for photography. 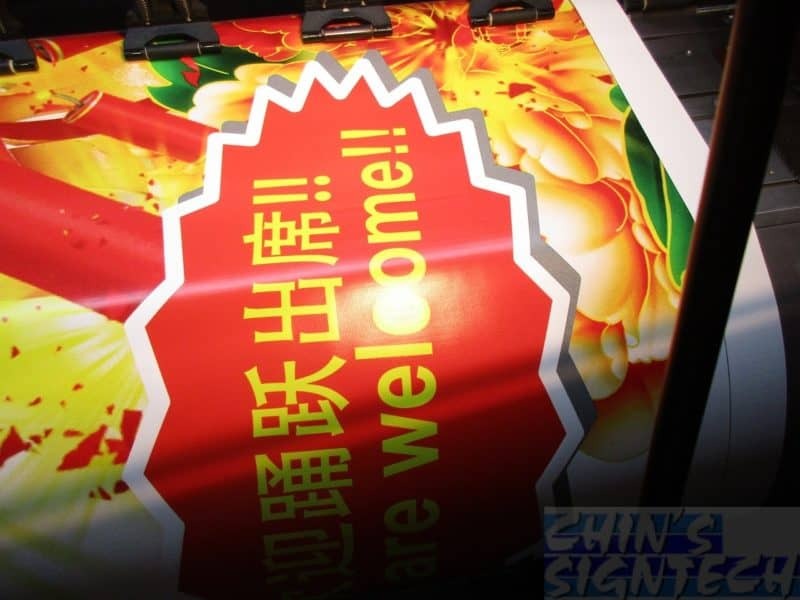 Overall PVC banner show more reflection than Sticker. 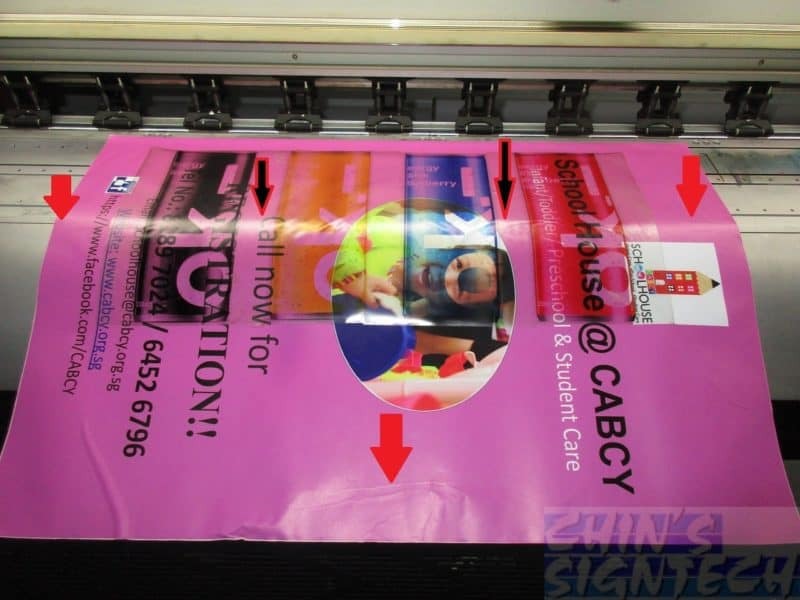 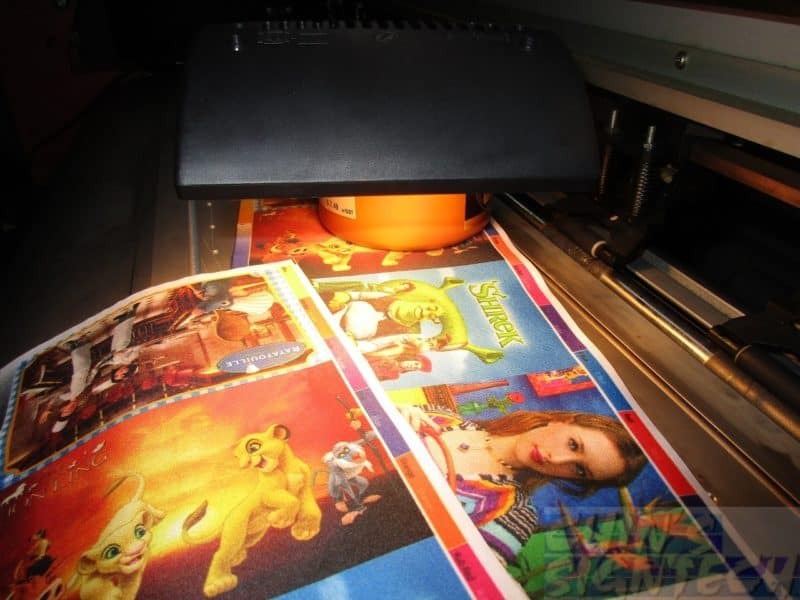 Comparing PVC banners and Stickers material with matt lamination, fabric is the wise material to use, which involve camera flash and spotlights. 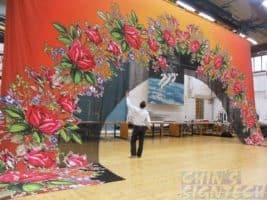 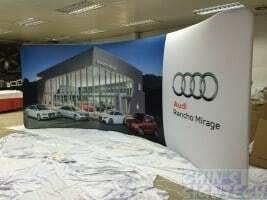 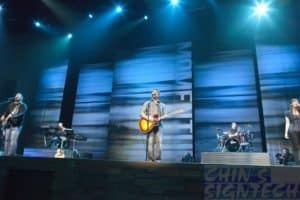 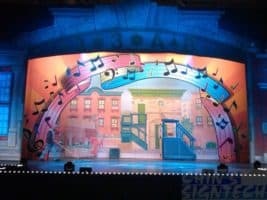 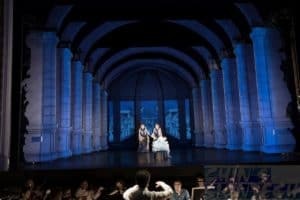 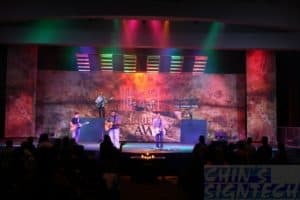 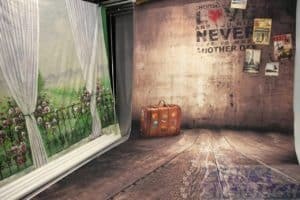 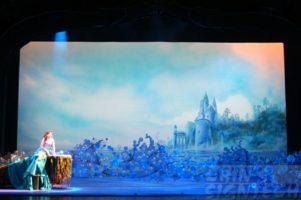 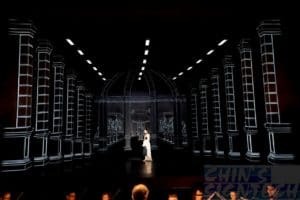 Fabric are used at foreign countries by professionals for their huge theater opera backdrop, event stage backdrop, Photo Booth and Photography Studio.